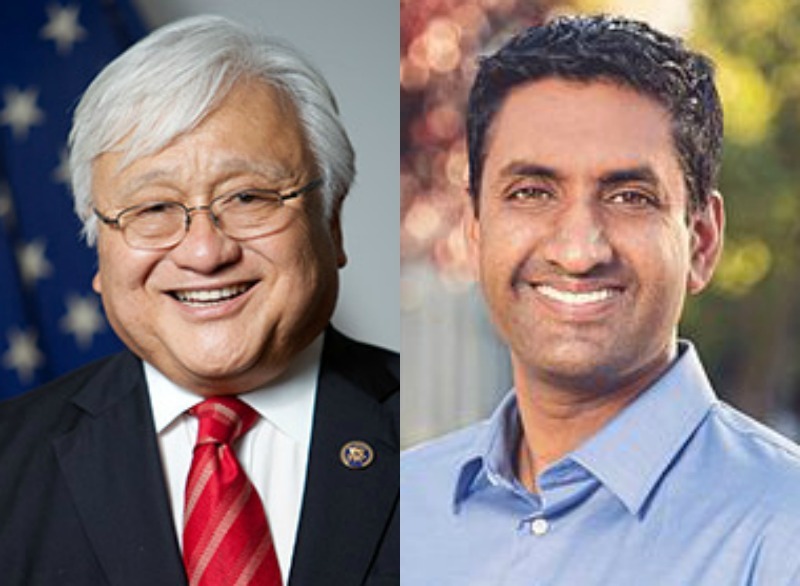 Rep. Mike Honda and fellow Democrat Ro Khanna meet again for a rematch of their 2014 campaigns. Rep. MIKE HONDA has served the South Bay since 2001. Until 2014, his path toward re-election was clear every two years until an upstart fellow Democrat fell less than four points of defeating him. One of the more liked local officials, Honda has focused on education through most of his tenure in Congress. His campaign touts bringing home millions for Silicon Valley projects, namely the BART extension to San Jose. As a young child, Honda spent time in a Japanese American internment camp and civil rights issues surrounding the LGBT community have been a consistent focus over the years. In turn, Honda’s voting record is viewed as one of the most progressive in the entire Congress. After his narrow defeat in 2014, RO KHANNA quickly ramped up another attempt at unseating Honda. And the effort paid off last June after he topped the incumbent in the primary by under two points. Now, for the first time, Khanna is the frontrunner this Nov. 8 and the attacks from Honda have been consistent. Viewed by most as less progressive than Honda, especially on the fiscal front, Khanna has been able to churn out campaign donors from some of Silicon Valley’s biggest hitters in technology. Khanna also champions bringing industry back to the states through technology. Khanna has been successful in attracting South Bay Republicans and moderates to his side. In general, his platform portrays himself as the logical and young heir as Silicon Valley’s voice in Washington. WHAT’S THE BEEF? For the better part of almost three years, this race had been relatively civil. In hindsight, maybe some pressure should have been let out because in just the past 30 days, the amount of bitter contention between the two campaigns has been through the roof. It started Sept. 22 when the Honda campaign changed the course and tenor of the race with a federal lawsuit claiming Khanna’s campaign manager illegally accessed Honda’s confidential digital donor files. Khanna was also named in the suit and the campaign manager, Brian Parvizshahi resigned the same day. Honda’s campaign then began referring to Khanna as a “Russian hacker” and Khanna, himself, called Honda “an embarrassment.” Currently a barrage of expensive television commercial from either side is bashing each other. The dynamic of this race is now, “Who can you trust?” Khanna continues to argue Honda’s on-going House ethics investigation over an allegation made last year that the campaign commingled official and campaign work, while also creating a type of “pay-to-play” scheme for potential donors disqualifies Honda from another term. Honda’s retort is a variation of a past critique that Khanna will do anything to get elected to Congress. Now, the proof is the federal lawsuit against Khanna and his campaign. 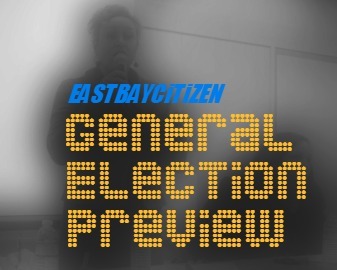 OUTLOOK With a few weeks before Election Day, this race looks like a clear tossup. In addition, both campaigns are essentially throwing everything but the proverbial kitchen sink at each other. Honda is clearly vulnerable after narrowly losing the primary and Khanna has nothing to lose. He either wins or goes home. He can’t take a third shot at Honda in two years, can he? But if Honda wins on Nov. 8 it seems increasingly likely that he retires before 2018. In that case Honda acolytes like Assemblymember Evan Low might cut in line of Khanna and others for the seat. However, the most likely scenario is that Khanna maintains the small lead he earned in June. The ethics hammer his campaign has used over the past year against Honda has been devastating. The question next month is whether Honda’s cyber lawsuit has changed hearts and minds, transferring ethical doubts voters might have about Honda to Khanna. Since there have been no debates or even candidate forums during the general election campaign both camps have taking swings at each other with increasingly negative television ads. These sorts of fisticuffs might be oft-putting to undecided voters in the current poisonous atmosphere of the presidential election and possibly hurt Honda the incumbent more than Khanna, the political outsider. Also keep in an eye on Democrats who lean far right coming out to vote in large numbers. They skew toward Honda and in a close race any slight variation from the norm could swing this election either way. Posted in 2016 Election, Brian Parvizshahi, CA17, commercial, congress, cyber crimes, federal court, House Ethics, Mike Honda, progressive, Ro Khanna, tv ads. Bookmark the permalink. Gosh, who writes this stuff? Uh, NO…only those whose life is politics will pay any attention to those “inside baseball” charges. They will simply be lost in the barrage of recent commercials for a dozen propositions. Those ads are near ZERO in effectiveness. Honda's campaign manager must get a percentage of the media buy. Oh yea, far right leaning Democrats (often known as moderates) will swing completely to the progressive side, rather than voting for the more moderate candidate… Right! You nailed it. Final tally… Ro wins by minimum of 5% spread. Most likely 7 to 10 percent spread. Honda is just two elections past his “best by” date. If he were a dairy product, the would have already pulled him off the shelf. Since Mike Honda refuses to debate Ro Khanna this election cycle, the voters best side-by-side comparison of the two candidates are KQED interviews of both candidates that aired last week. The questions were fair, direct, and challenging on both sides. If you are an undecided voter, I encourage everyone to watch both interviews before casting their vote. The contrast between the two candidates are very clear. To view both candidate interviews, visit https://www.youtube.com/watch?v=0vd5y1XOOhM.